← It Seems Like Only Yesterday…. Once again I am in a place where I have to address my shopping problem. I have actually tallied up all the money I have spent in the last 3 months on clothes for my daughter, and it isn’t pretty. Nor can I really afford it. Thankfully, its not all been in one chunk but things bought here and there….on ebay. Ebay is my evil foe in the fight to save money. You see all these cute clothes and think, “WOW, That’s cheap! I’ll buy it now!” Or even worse, “I’ll bid on this item and see how cheap I can get it!” Who can pass up a new pair of jeans and cute shirt for $5.00 on Ebay, right? Then the bidding war starts and you get that email saying “You have been outbid by $0.50,” and then it hits you….you HAVE to have it! Next thing you know you’ve spent about $15.00 on a really cute outfit that, though is still a good deal, you really didn’t want that badly. 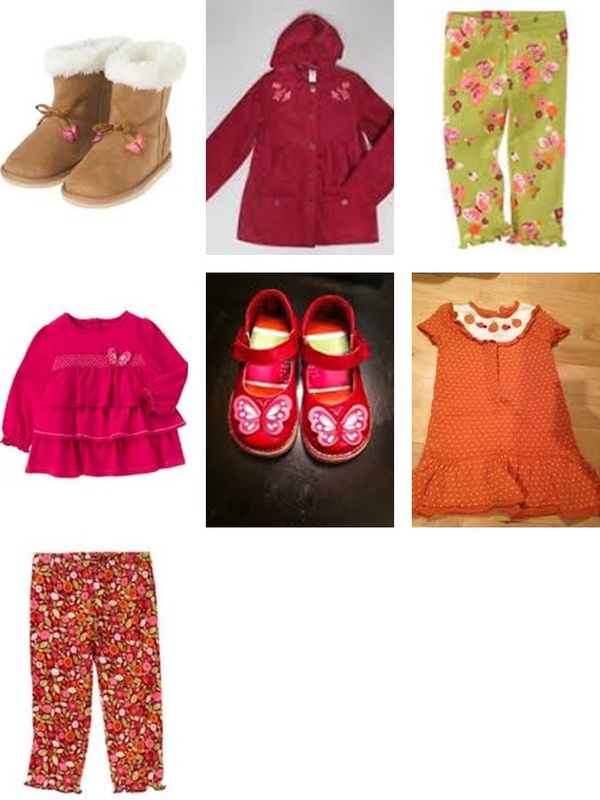 So here it is, my new addiction is a collection from last fall by Gymboree called “Butterfly Girl.” These are some of the articles I have bought from the collection, pictures taken from images found online. Isn’t it cute?!?! And my baby girl will look so cute in it! Though my purchases in general have been cheap….it hasn’t been as cheap as I thought it had been. Not when you total everything up, that is. You see, its easy to say that you bought everything for under $100.00 when you’ve forgotten that though each time you went on an Ebay shopping spree the total was less than $100.00, you’ve gone on three or Ebay shopping sprees. That usually adds up to more than $100.00. So, here is that damage I have done to my checkbook on this collection over the past three months: $246.96. Now, $13.23 of that was for shipping and handling before I found that lovely “free shipping” filter, but still…Wow. WTF? Who knew all those cheap purchases could add up to so much! To make myself feel better I tallied up what I would have spent if I had bought those same articles of clothing off the Gymboree website on sale. Ready?? $478.73! I added tax at 8.25% which came up to $36.48, but that still means I would have spent $442.25 on the clothing I bought on Ebay. So, I basically saved $200.00 by shopping Ebay. I’m still not happy with myself. So here it is: I have put myself on restriction. No more Ebay for 30 days. No internet shopping AT ALL for 30 days. Start your betting pools. I’ll post on whether or not I made it on September 26th, 2013. This entry was posted in addiction and tagged Baby clothes, clothing, Ebay, retail therapy, shopaholic, shopping, shopping addiction. Bookmark the permalink.